With local and international knowledge and expertise, our professional and dedicated staff and management teams bring a depth of understanding and experience to each of our business arms that is unsurpassed. This breadth of skills and experience, together with our ongoing commitment to staff training and development, provide the backbone to our successful and dynamic operations. 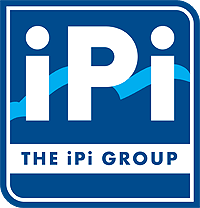 As a fully integrated supply-chain management and logistics organisation, the iPi Group, through each one of our specialised divisions, provides comprehensive business and support solutions across a diverse range of needs, industries and locations.